For best quality of billets, the raw material such as primary ingot and master alloy are supplied by the most reliable world renowned companies. 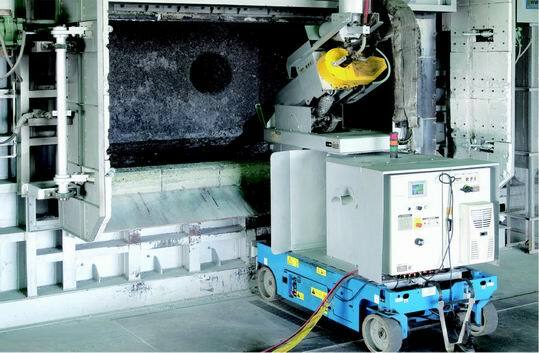 The current technology of AirSlip & NuMax Billet Casting System supplied by Wagstaff (U.S.A), compared with conventional Hot Top Tooling, produces billets with thinner shell zone and finer grain size, which supports extrusion velocity and quality. 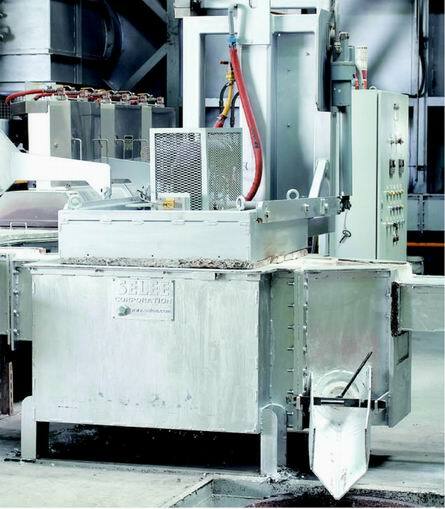 We adopt Rotary Flux Injector (RFI) manufactured by STAS (Canada) to refine molten aluminum. 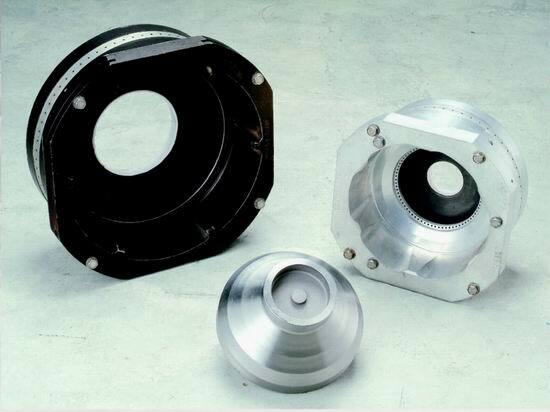 In order to achieve the optimum mixture, flux and inert gas are injected into molten aluminum through RFI's high velocity rotating graphite rotors. Temperature and chemical composition can be uniformed; meanwhile, volume of alkaline and impurities are reduced and cleanliness of molten aluminum increased. 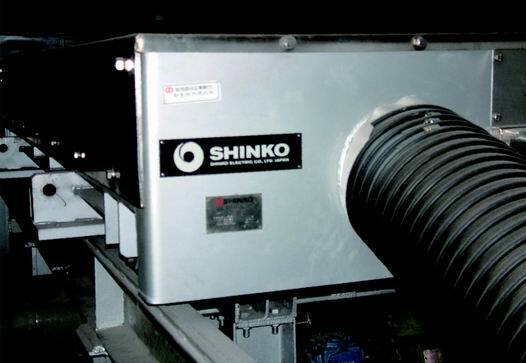 In the bottom of furnace, we installed Electromagnetic Stirring (EMS) manufactured by SHINKO (Japan). Without contacting the metal, this equipment stirs the metal within the furnace by electromagnetism, speeding stirring to achieve the goal of even temperature and chemical composition. 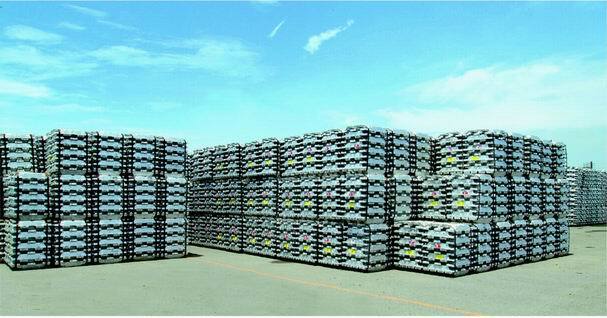 Compared with conventional equipment, EMS shows better efficiency on high-strength alloys. 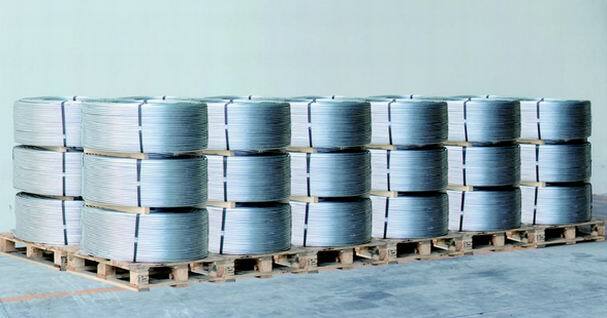 Al-Ti-B wire is used to refine billet structure. 6-rotor Alcan Compact degasser (ACD) manufactured by STAS (Canada) was installed in line. The injected argon generates great amount of fine bubbles, which remove hydrogen atoms. This efficiently minimizes hydrogen entrapped inside metal. To ensure quality standard of our billet, patented double filtration system with the first layer of 26” Pore Size (40~50PPI) and second layer of 23” Pore Size (60~70PPI) and LIG preheat lid manufactured by Selee Corporation USA, are equipped in our production line. Double filtration system can effectively remove impurity particles and further ensure final product quality. Tzan Wei’s casting tooling is MaxiCast Hot Top system and AutoCastTM automated control system manufactured by Wagstaff Co., Ltd. The latter efficiently monitors and accurately controls all process parameters. These systems help us produce thinner segregation billets than other companies. The casting systems, coupled with Boll cooling water filtration system, ACD on-line degasser, double ceramic foam filters, Al-Ti-B grain refiner, and excellently stable hydraulic control unit, produce premium quality aluminum billets. The continuous homogenization furnace imported from Austria is a type of horizontal billet feeding. 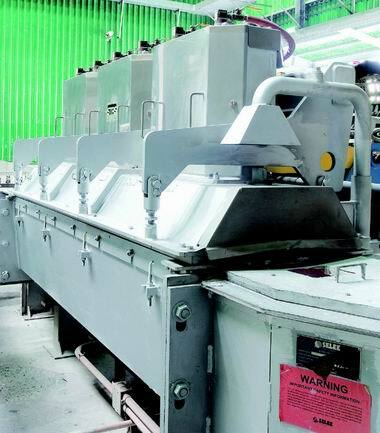 It handles billets one by one for providing more uniform treatment than batch type unit. The whole homogenization process is monitored by computer programs, which avoids any personal error. Tzan Wei’s furnace is the 1st unit installed in Taiwan. Batch-Type Furnace & Cooling Furnace. To comply with the homogenization requirements of high-strength alloys, Tzan Wei installed four sets of 20-ton batch-type furnaces and two sets of cooling furnaces. Equipped with high efficiency thermal circulation fan manufactured by I.G.E. (USA), the PLC system precisely controls the temperature and increases/decreases temperature in different stages based on alloy type. 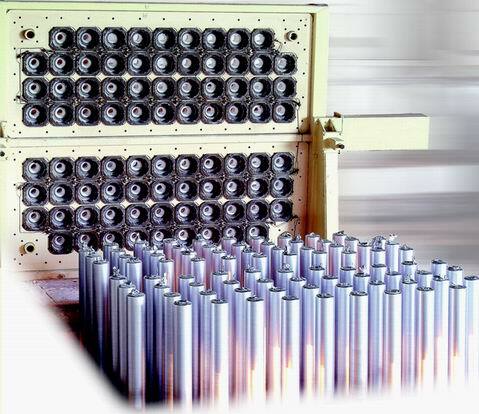 All are for best homogenization quality of aluminum billets. In cooling furnace, there are 12 fans for controlling cooling rate of homogenized billet. There is temperature measure for calculating the cooling rate too.